Charter Medical is dedicated to helping cellular therapies become reality by providing the highest quality services and single-use solutions from early clinical testing to late stage product commercialization. 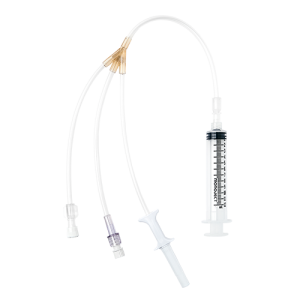 Charter Medical’s Advect® Fluid Transfer Sets are designed to support the quality and manufacturing requirements of personalized care. 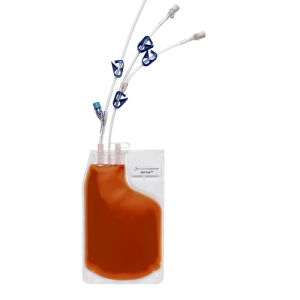 Charter Medical’s EXP-Pak™ Bio-Containers are Class 1 Medical Devices (US only) and intended for the expansion and culture of non-adherent cells. The container is made from a single-web polyolefin gas permeable film. 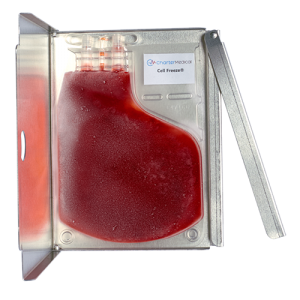 Charter Medical’s Cell Freeze® cryogenic storage containers are designed for storage, preservation and transfer of hematopoietic progenitor cells (HPC’s) and are 510(k) cleared and CE marked . Charter Medical offers custom single-use disposable product development and design to facilitate closed-system processing and manufacturing for the Cell Therapy community. Clarke D, Stanton J, Powers D, Karnieli O, Nahum S, Abraham E, Parisse JS, and Oh S. Managing Particulates in Cell Therapy: Guidance for Best Practice. Cytotherapy 2016; 18: 1063-1076. Charter Medical offers a wide variety of standard products and custom options designed for the rapidly emerging Cell Therapy industry. We specialize in developing custom closed-system designs for both small and large scale processing and our standard products are available for regulated and IND/research applications. Our products meet USP Class VI biocompatibility standards and are manufactured in our ISO Class 7 cleanroom. Charter Medical’s quality system is ISO-13485 certified.